Gunpowder green tea is a type of tea that has been rolled into pellets. When brewed and steeped, the tea pellets will "explode" or open into a longer leaf. This appealing tea is also called pearl or bead tea because of its unusual appearance. While the origin of the tea-related term "gunpowder" is uncertain, it is thought to have come from the shape of the pellets, which resemble the black powder pellets used in early guns. Yet, when brewed, the tea has an appealing smoky flavor. So it is possible that the term originated from the taste as opposed to the shape of the tea pellets. Gunpowder tea comes from specific provinces in China, mostly the Zhejiang Province, and dates back to the year 600. It did not become popular until the tea was introduced in Taiwan in the 1800s. Today, gunpowder tea is rolled by machines, though some of the higher grades of tea are still hand rolled. Rolling the leaves keeps them from breaking and allows for lengthy storage time - decades, in some instances. The process also keeps the flavor in the leaves. This tea generally has a more yellowish color than other green teas. Some people describe the flavor as smoky, coppery, grassy, or minty. Coffee lovers are said to enjoy this tea more than others. Gunpowder tea goes well with vegetables, seafood, or pork. Like all types of tea, Gunpowder tea is derived from the Camellia sinensis tea plant. All green teas processed differently from black, oolong, or white teas. Green tea leaves are steamed, which halts oxidization. The lack of fermentation keeps antioxidants and other compounds in the tea leaves, which accounts for the tea's health-based attributes. Green tea has been has been a folk remedy for centuries. Research in recent years has confirmed the practice of using tea to promote wellness and ward off health issues. This tea is rich in polyphenols, which are strong antioxidants that help improve your health and keep disease away. Some of the health claims of gunpowder green tea include helping to fight heart disease, arthritis, and immune system issues. Gunpowder tea has more caffeine in it than regular green tea, so it may serve as a stimulant for some people. When buying this tea, look for shiny pellets. This indicates freshness. Select tea with small-sized pellets. Larger pellets indicate a lower quality tea. High-quality gunpowder green tea will be rolled tightly into small pellets that maintain their shape regardless of time in storage. You may also find different varieties of this tea under these terms: pinhead gunpowder tea, Pingshui gunpowder tea, Formosa tea, or Ceylon gunpowder. Each has a distinctive flavor variation so you may want to sample of number of gunpowder brews to see which you most prefer. Because the pellets open up to expose the rest of the leaf, you do not need to use a lot of this tea when brewing. 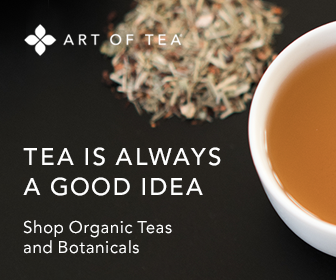 To brew this tea, use 1 tsp of loose leaves per 5.5 ozs of water. Boil the water to 160 degrees (no more than 175 degrees). Strain and serve. You may use the same tea leaves for a second brew, if desired.